There are a lot of twisted structures, washed colors, slow motions, and some other part of most rhetorical resources that are commonly used by some painters, filmmakers, writers, and artist in general. It is where they try to express mental conditions in a different way. These resources aim to interpret what it feels like to have a disorder. In art, the portrayal does not only focus on a specification but rather count every detail as a whole. Most people with several mental conditions don’t usually understand a painting at one glance. Viewers are not aware that the masterpieces carry the message of pain. Edvard Munch created one of the most controversial pieces called “The Scream” in an attempt to explain and express the condition of having shattered nerves. It becomes one of the most significant paintings in the history of expressionism. It is where Munch describe his feelings are terrifying and unexplainable. That the place he once visited seems to be extraordinarily depressing that he had to put in into a visual representation. 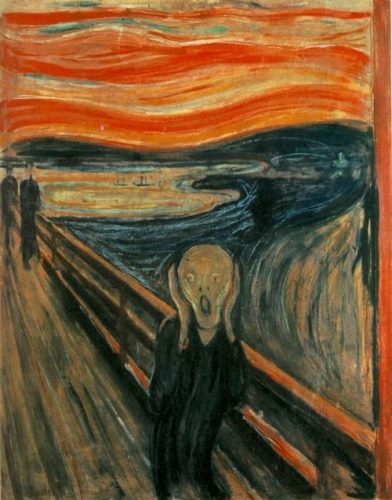 The Scream affects both literature and film. That is why near in the mid-twentieth century, a writer named Virginia Woolf also attempted to express her struggle with severe depression. The writer, unfortunately, can’t snap out from the mental condition, and eventually committed suicide. However, even though Woolf is dead, her effort in finishing the novel “Mrs. Dalloway” is worth it even though she’s battling with mental illness. The novel became a resource for the movie “The Hours” in 2002. 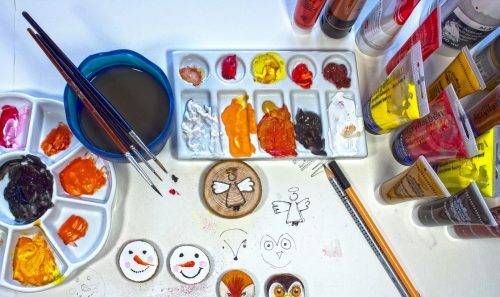 Nevertheless, art becomes a useful medium of expression to those people who can’t express themselves. It’s not that they don’t want to, but some of them are comfortable in creating a different communicative language such as painting. That is because creating art seems to address most mental conditions that’s why it becomes a highly important part of significant psychological treatment. Let’s say for example the masterpiece of Van Gogh. The painter gets diagnosed with manic-depression. It somehow hinders him to represent his condition through painting. But even though that’s the case, Gogh still managed to create valuable other masterpieces while he was interned in an asylum at Saint Paul’s. He was able to resume better mental health through painting where he comfortable finds solace. 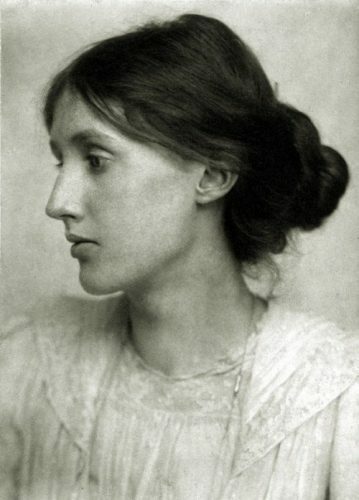 The writer Virginia Woolf suffered from a condition that was unknown back then. Fortunately, critics nowadays recognize the mental state as bipolar disorder. In the film, the other two characters are also dealing with the same psychological health issues. It was transmitted to the movie as Virginia writes the plot. The story from the novel appears beautifully portrayed through visual metaphoric representation. Since mental disorders are mostly entitled to stimulating expression of creativity, it leads to a surreal portrayal and imagery. However, a lot of times, mentally ill people seem wrongly represented in films. Usually, they are always violent, and that becomes a generalized depiction of all the majority of patients under such conditions. In the movie “Science Of Lambs” for example, there’s a portrayal of a volatile man who happens to be extremely violent due to schizophrenia. It contains almost the same plot as the movie “Psycho” and “Halloween” as well. With these portrayals, the National Institute of Mental health stated that schizophrenic people do not commit the most violent actions. Another movie inspired by real people and a real case of mental disorder is “Frida.” Frida Khalo’s diagnosis with depression is a minor case. However, Frida suffered from two major depressive episodes that push her to attempt multiple suicides during her lifetime. The termination of all three of her pregnancy caused a significant amount of grief. Aside from that, Frida’s depression becomes consistent due to her stormy marriage. All of the details of her struggle are visible in her paintings as well. Robert Loius Stevenson caught a patient with split-personality disorder. 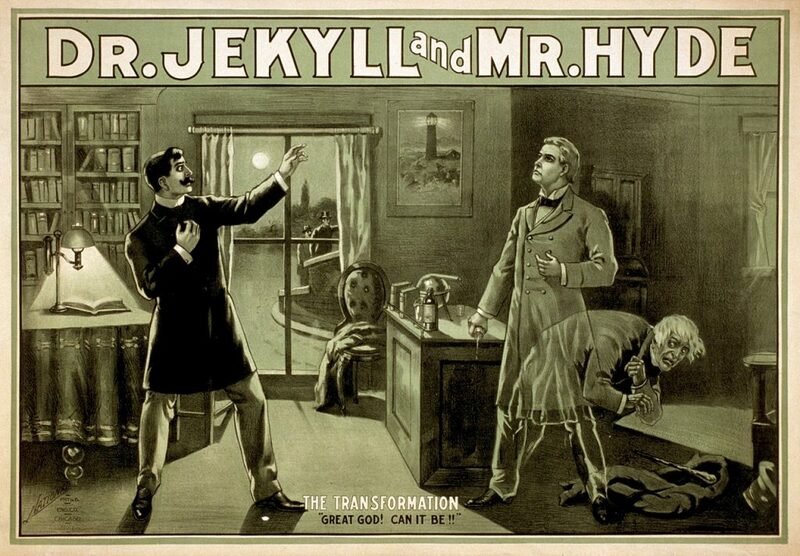 It was his inspiration in developing the novella of Dr. Jeckyll and Mr. Hide. The story impacts a lot of people because of the different moral character that handles one situation towards the other. The novella becomes an interpretation of the best examples of the duality of human nature. It develops into the expression of the inner struggle between the good and evil usually seen in human and animal comparison. It is common to assume that people’s emotion interferes with rational thinking. That’s perhaps the reason why there is always a discussion about how art cannot become “art” without feelings. And along with this condition, the domain of psychological explanation explains the purpose of artistic expression. With the paintings, books, and movie portrayals, one is sure on them all. 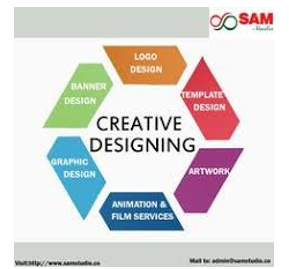 It is the mental condition of people that put a ton of turn of phrase in every masterpiece that seems very important for diagnosis and treatment as of today.